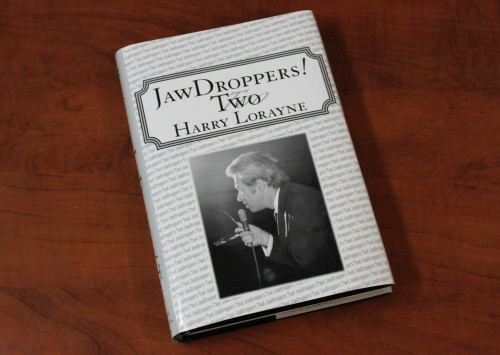 Over seventy great tricks in the newest book from living legend Harry Lorayne! Mr Harry Lorayne doesn't go away quietly. He's 92 years old as of today, 4 May 2018, and he's still making a lot of noise. And he's still writing books. But if his latest book, Jaw Droppers! Two is any indication, I'm hoping he won't go away any time soon! We can only be grateful that he is still contributing new material to the world of magic. 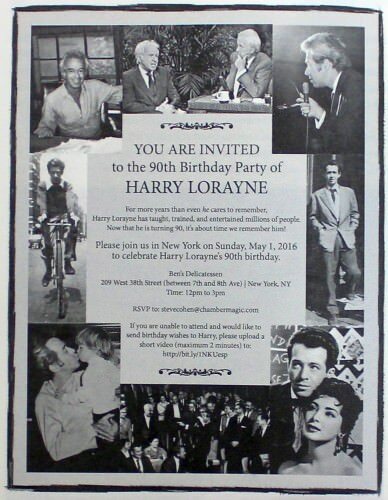 But even at 92, Harry Lorayne is still active. 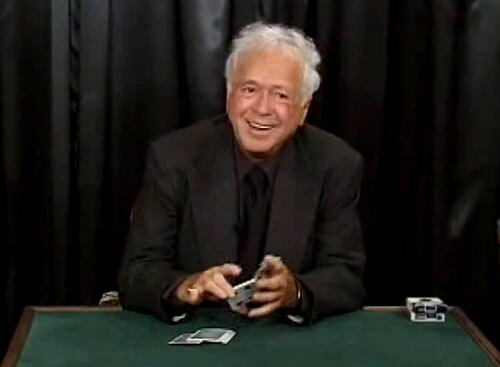 In 2016, in connection with his 90th birthday, he delivered a lecture entitled The Jaw Droppers Lecture, which displayed that he still has remarkable skills in card manipulation, and more importantly in showmanship and entertainment. You can purchase access to this great 3 hour lecture and interview for just $5 (see details in my review here), which includes performances and teaching of some of his all time favourites, as well as some of his new material. Some of the tricks featured in that lecture were from his 2015 book, called Jaw Droppers! But Mr Lorayne wasn't done writing yet. He's highly regarded in the world of magic not just for the tremendous entertainment he has provided to thousands of audiences across the world, but especially for his contributions in teaching magic. He's a very clear writer, with a remarkable ability to explain things in words like very few others can. And along with that, he's also a thinker and creator, and is constantly coming up with new ideas, and with new ways to improve old routines, even at the ripe old age of 90 plus. In this review, I'm covering his newest book, Jaw Droppers! Two, which was released at the end of 2017. So how did this book come to be? Didn't Harry Lorayne already write a Jaw Droppers! book, which was published in 2015? Yes he did, and at the time even Harry himself thought that this book would complete his life's writing work, along with the Only My Apocalypse title that followed it. But Mr Lorayne is a prolific writer, and he just can't seem to stop writing! The material of his next book emerged quite naturally. He explains in his foreword that he's made his living amazing other people, both with magic (his first love), and his memory work. But now he found that he was amazing himself, because when going through some of his own books, such as Best of Friends, he came across countless scribbled notes with new ideas, thoughts, and handlings. As he worked on this, he realized that many of these effects had evolved into entirely new routines. And while being busy with that, even more ideas and routines came to mind! Since these new routines all had the common element of amazing laymen, the title Jaw Droppers! Two (Too) quickly came to mind, since the tricks included were a natural follow up to the material of his 2015 book. And that's the book we now have in hand, and is the subject of this review. The Jaw Droppers! 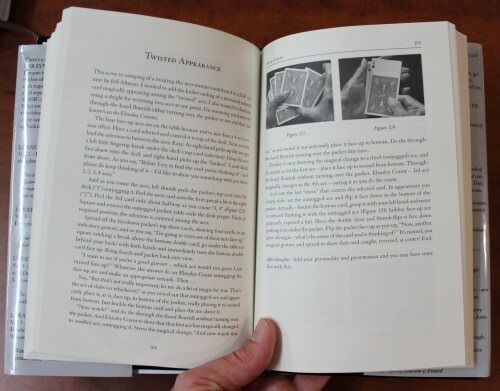 Two book consists of around 250 pages, and has been divided into seven separate sections, each containing about a dozen tricks or utility moves, covering over 70 card magic routines in total. Although some tricks that use the same sleight are grouped together, there's no special categorization of the tricks as such, since Harry put together this collection of tricks somewhat by a stream of consciousness technique, including things as they came to mind and as he was busy writing the book. But having separate sections does help to navigate through the book, provides appropriate breaks, and the arrangement of material in installments somehow does make for more pleasant reading and studying. 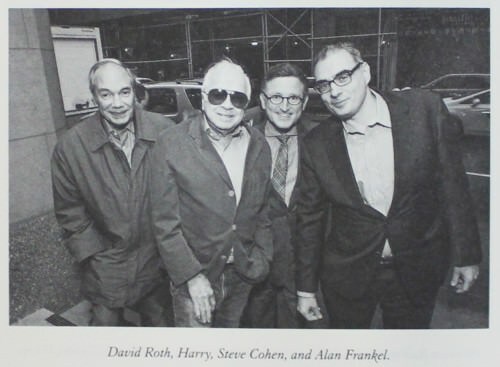 It's worth mentioning something about the manner in which Harry writes books, and he discusses this in more detail in the interview he had with Rudy Tinoco on the occasion of his 90th birthday. His first drafts are always entirely handwritten. From there he types it up, and that essentially becomes the final result. With the help of some people with expertise in photography (Matthew Potter), and layout and design (Andrew Pinard), from there we get to the final book, which is published under his own company name, Harry Lorayne Inc. This new book exudes quality the moment you first hold it in your hands. It's a beautiful black hard cover book, with embossed white lettering on the spine. The simple black makes it look very classy and elegant, and also gives it a tone of complete seriousness, making it a worthy set of covers for the secrets of card magic that await discovery within. It's exactly how a book of magic secrets should look! 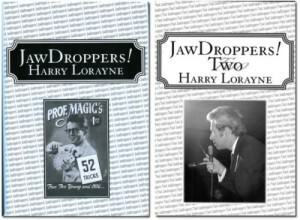 An attractive dust cover completes the presentation, and even that alone breathes quality, being made out of a glossy paper stock, with the inside jackets full of endorsements for Harry Lorayne and his books. The front of the dust cover features one of the many photos taken of Harry during his thousands of appearances world-wide during the height of his career, holding his glasses and microphone in his typical pose. 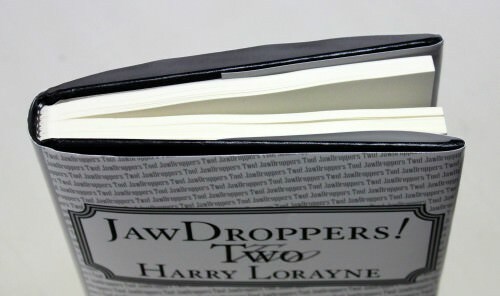 In small print you'll see the words "Jaw Droppers Two Jaw Droppers Too", which is a clever play on words, indicating that just like the first Jaw Droppers! book, the tricks in this second volume are jaw droppers "too" (also). Once we open the book, our initial impression of quality is only confirmed. There are just over 250 pages altogether, and no shortcuts have been taken on the paper quality, which has the look and feel of what an important volume like this deserves. The binding is especially superb, and it is a real joy to page through the book, knowing that it won't fall apart, and that like Harry's magic, this is a book that is designed to go the distance. Harry Lorayne would be the first to remind us that "they don't make them like they use to" and "you need to read the good old stuff". With this book he practices what he preaches, because he's produced something that not only has lasting content, but comes in a durable package that itself oozes class and style. It's the kind of book that you can expect to use over and over, and one day pass it on as an heirloom and treasure to a budding young magician. The layout and formatting impresses as well. Sandwiched between a "Fore-word" and "After-word" from Harry himself are seven separate sections, each covering about a dozen tricks or utility moves. A three page Table of Contents at the beginning gives a good overview of all the material, and serves as a handy gateway to return to often, in order to easily find your favourites. The space at the end of the trick explanations hasn't been wasted either, with many photographs of the various awards Harry has won over the years. Some might consider this unabashed self-promotion, but why not? Harry Lorayne has earned each and every one of these accolades, and thoroughly deserves the recognition he's received over the years. In fact this wasn't his idea, but the idea of his layout editor Andrew Pinard. Seeing pictures of these many awards and achievements serves as an ongoing reminder of his credentials and expertise, and of the privilege we as readers have in learning from one of the greatest. They are also wonderful historical curiosities, each being a snapshot of a moment in time when Harry was recognized by one or other magical group or fellowship for different achievements. I'm sure I'm not the only one who finds them fascinating to look at. In the middle of the book there's also a collection of photographs from the celebration of Harry Lorayne's 90th birthday. This is a wonderful touch, and gives a snapshot of the more immediate context in Harry's life around which this book was produced. It's also obvious from some of the photos that Harry is highly regarded, and seeing him surrounded by some of magic's elite says a great deal about his abilities and accomplishments, and the respect he enjoys worldwide. Each trick begins at the top of a page, clearly separating it from the preceding material, while capitalized headings in large print ensure that every routine stands out and is easy to find. The text is accompanied by almost 200 illustrative photographs, which are well placed alongside the body of the explanation, and provide that essential visual that at times helps you understand the text better. Following each trick Harry concludes with some helpful "Afterthoughts" that offer further reflection, including further ideas or comments that go beyond the explanation of how to perform the trick itself. Altogether there are more than 70 different tricks represented in this book, each of which takes up around 2-3 pages in the book. To my knowledge nothing is a simple and direct repeat of anything you'll find in Harry's other books, although some of them are re-workings and improvements on tricks that have been published previously by Harry himself or by others. So at the very least, what you find here is either a revised and improved handling of previous material, or entirely brand new routines. Do any tricks in particular stand out? Well there's a whole lot of strong material here, and if we were to ask Harry which ones are the best, he would of course say "all of them!" Since this is a book that one really needs to spend several months studying carefully to really do justice to it, I feel like I've only scratched the surface of it myself, and I'm not going to pretend that I've given every single routine included here the loving treatment that it deserves. But to give some idea of what is included, I'd like to give a short overview of a few routines that are particularly worth looking at for one reason or another, and thereby highlight a few of my own favourites so far. The ones covered below have either struck my own interest, or have been singled out for special mention by others, and they are certainly good routines to start your adventures in this treasure trove. If you don't have the book, it will give you an idea of some of the gold that lies within; if you do have the book, it may help direct you to some tricks that appeal to you and which you might otherwise overlook. The numbering is my own, and they are simply presented in the order in which you'll find them in the book. Effect: This is a remarkable experiment of "peripheral ESP" (a made-up term from Harry), in which the spectator demonstrates that they have a remarkable psychic GQ (Guess Quotient) by being able to determine whether or not two face-down cards have matching values; multiple times! My comment: This routine first appeared in Best of Friends Vol 3, and some consider it a "modern classic". It has an Out of This World feel about it, and can generate similar reactions of astonishment; it can also be performed fully impromptu. When I asked Harry about this routine, he told me that he knows of several performers that booked gigs with the help of this effect alone. Effect: The four Aces are shown, and batches of around a dozen cards are spread off from the deck, with an Ace placed on each, to apparently lose them in the deck with roughly a dozen cards between all of them. Now cards are dealt from the top of the deck to spell a-m-a-z-i-n-g to produce an Ace; the next two cards are also Aces. When the next card produces a high Spade instead of an Ace, you demonstrate that despite appearances this is not a failure, because you immediately perform the HaLo Aces and produce a royal flush in Spades from the four cut-to packets! My comment: An earlier version of this first appeared in Best of Friends Vol 3. Some impromptu set-up is required, but if you can do the HaLo cut, this is a wonderful application of it. The illusion of the Aces definitely going into different places of the deck is convincing, due to the clever manner in which the dirty work is accomplished. Effect: This is a fun lie detector test involving eight cards, where a spectator merely thinks of one, and you use your spectator's 'voice print' to determine whether they are lying about whether their card is red/black, odd/even, and its value; and as a kicker you show you have isolated their chosen card. My comment: It's basically self-working, but the method is very deceptive, and especially with Harry's Utility Mixer can really fool. The simple but clever method means you can really focus on the fun of presentation. Effect: The deck is shuffled by a spectator and divided into two face-down piles. The spectator selects a pile, and the top card is revealed and remembered. The spectator selects any two cards from the second pile and returns them into the center of that pile face up, and then returns the originally selected card back into the center of the first pile and shuffles it. Now the magic happens - the selected card is shown to have vanished from the first pile, and has magically flown to the second pile - right in between the two face up cards! My comment: See Rudy Tinoco get gasps when he performs this routine (with slightly different handling) in a video clip here. Harry has come up with a very clean and clever method that eliminates a duplicate card and a palm from what was originally an A. Berkeley Davis routine, and it's one of the nicest tricks in the book. It also uses two of his utility moves that he teaches in the book, namely the Illogical Double Lift and the Lorayne Force. Effect: A very strong routine that begins with a spectator's selection being shuffled into a deck, which is divided into four packets. The spectator selects one of four packets, and this turns out to have their selected card on top! As a kicker, the other packets are shown to have indifferent cards, whereas their chosen packet has the entire suit of Hearts - matching their selection! My comment: The setup can be done impromptu using a preceding trick. A real bonus here is that Harry teaches how to do a smooth and convincing Magicians Choice from four items, something I first learned from him in his Jaw Droppers lecture. It is very clever, and is something that you can use in many other tricks as well. Effect: After removing a prediction card from a deck, you create four piles one at a time, for each following the procedure of counting down cards backwards from 10 until a spectator says stop, and putting a face-up spot card on each corresponding to the number you were stopped at. These numbers are added together, and you count down that many in the remaining deck, and the card turned up proves to be a mate of the prediction card. Better yet is the kicker: the four dealt piles are turned over and together with the turned up card make a royal flush! My comment: This quirky routine uses a mathematical principle, and you'll even fool yourself with how it works! 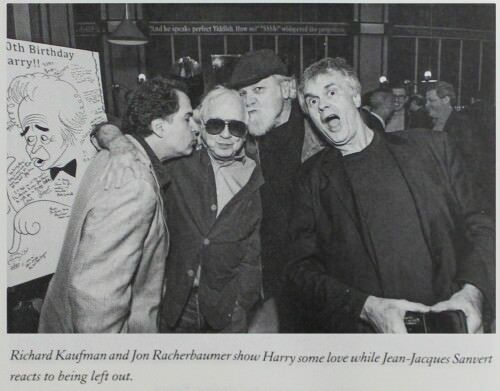 It is largely self-working, but Harry has evolved it from a Terry Lagerould routine originally found in Best of Friends. Having a matched prediction is surprising enough, but producing the royal flush seems truly impossible, especially since the spectator tells you when to stop for each pile. There is just one sleight required but it's a fairly basic one, besides an impromptu set-up. Effect: A spectator secretly takes 1-10 cards from the deck, and then memorizes a dealt card corresponding to the number in their packet. After they return their stack to the deck and you shuffle it, you announce that their card is the eight of clubs, and spell the e-i-g-h-t-o-f-c-l-u-b-s to reveal their card. My comment: This takes a Paul Gordon routine from Best of Friends Vol 3 and alters the handling to make it easier. It's basically self-working, so it's within the scope of the beginner (if you can do false shuffles), but the presentation suggested by Harry Lorayne helps make it something humorous and entertaining. It's also something easy to do completely impromptu. Effect: From an apparently shuffled deck, you demonstrate how you can spell Aces to find them, which works only for three of the four Aces, because on two attempts the Four of Clubs shows up instead when trying to produce the Ace of Clubs. It's then turned over to magically change from the Four to the Ace of Clubs, and as a kicker the top cards are dealt to produce a royal flush in Clubs. My comment: This is a variation of a routine originally contributed to Robin Robertson to Best of Friends, but Harry has modified it to cut down the spelling and change the ending. The humour and plot reminds me a little of Dave Williamson's hilarious "He Who Spelt It Dealt It" (taught in his book Williamson's Wonders and on his video ​Dave's Magical Mysteries Revealed), but this is a much simpler and more straight forward version. I love the humour involved, and this kind of fun is typical of the wonderful entertainer that Harry Lorayne has always been. Effect: In this lovely routine, a card is selected and shuffled into the deck, after which the Aces are placed on top of the deck and shown one at a time to make a packet of four cards. Cards are now dealt from the top to bottom of this packet of Aces, as a way of determining what suit the selected card is not: spelling c-l-u-b-s, h-e-a-r-t-s, and s-p-a-d-e-s in turn reveals those Aces. This means that the final card must be the Ace of Diamonds, and thereby correctly indicating that the selection was a diamond, right? But as a kicker, the final card is indeed a diamond, but surprisingly turns out to be the actual selected card! My comment: The Three-Piece Suit is a Max Maven effect found in Best of Friends, but it involved sleights such as palming that Harry Lorayne wanted to eliminate, so he altered the handling to simplify it while still ensuring a very strong routine. Effect: The presentation revolves around a supposed "See/Hear/Feel Principle", in which a spectator sees, hears, and feels a particular card in a three-card packet. Their job is to remember its position when it is tabled, and they even put their hand on their card, while the others are returned to the deck. You apparently draw a random card from the shuffled deck, naming it as you do so, tap it on the spectator's hand, and it instantly switches with the card under their hand. My comment: In this ingenious routine based on miscalling cards, a completely impossible transposition happens right under the nose of your spectator, without any real sleight of hand, so all your focus can be on presentation. This trick really fits the "jaw droppers" title well, because laymen are completely fooled by it; several magicians have already reported tremendous success with this particular routine. Effect: After you set aside a prediction card and shuffle the deck, a spectator says 'Stop' while you are shuffling when you have a small packet of cards with an unknown number in your hand. This is inter-weaved into the deck and pushed out, and the spectator counts how many cards are in the out-jogged packet. Not only does counting down to that number card in the remaining deck prove to be an exact match of the prediction card (red Aces), but the top of the two other piles on the table are also revealed to be Aces. There's a nice performance of Easy Prediction by magicfish in a video clip here. My comment: If you can consistently do a perfect Straddle Faro with a packet of 10-20 cards, this is truly killer. When I first walked through the routine myself with a deck of cards in hand, even I was amazed to see all four Aces! The interweaving really disguises the method, and the fact it is done from a shuffled deck makes it seem all the more miraculous! Effect: A card is selected and shuffled into the deck, but before being found, the four Aces are shown, and you go into a Twisting the Aces style routine, where the Aces turn face up, and several through-the-hand flourishes magically result in transpositions of the Aces. As a grand finale, the selected card is named, and is shown to be in the middle of the packet of Aces. My comment: This requires an ability to do a number of basic sleights, but people already familiar with Twisting the Aces (here a revamped version of a routine from Jeff Altman originally found in Best of Friends) shouldn't find it hard to incorporate the bonus element of finding a selection that is part of this routine. Effect: After the Aces are lost in the deck, a packet of cards is taken, and you turn some cards face up and others face down. Then you take a number of small packets from this mix, and let a spectator decide whether they are kept as is or flipped over. When all the cards are spread, all the cards are face up except for the four Aces! See magician Rudy Tino perform That's Impossible in a video clip here. My comment: This routine is reminiscent in its effect to Harry Lorayne's fantastic "Really", which he teaches in his Jaw Dropper lecture and which you can see him perform here, except that in "That's Impossible!" the four-of-a-kind is set-up secretly rather than openly. It is based on Bob Hummer's CATO (Cut And Turn Over) principle, which Harry prefers to think of as TOAC (Turn Over And Cut), and follows several other effects in the book that explore this principle. The effect really is quite remarkable, and you have to do it with a deck in hand to see it first-hand and believe that it really works! In his afterthoughts, Harry also mentions a way to produce a royal flush instead of a four-of-a-kind, which offers an attractive presentation some might prefer. Effect: Four red cards are in one hand, and four black cards in the other. These are dealt in an alternating pattern to mix them, which is visibly shown face-up to prove it. Four cards are spread off to make two packets again, which are dealt in an alternating pattern a couple of more times. Cuts and shuffles ensure mixing throughout this process, but yet the reds and blacks are shown to have separated. My comment: A version with ten cards is also taught in the event you want to up the ante with this fairly straight forward routine. The oil-and-water plot is a classic of card magic, but this particular one is one of only two oil-and-water routines Harry himself performs. It is almost self-working, although it relies on being able to do his Utility Mixer in order to create the illusion of impossibility. The success and entertainment value of this trick will also depend largely on how you apply Harry's favourite three Ps: your own patter, personality, and presentation. Effect: Two mates are shown face up, and after a card is selected and shuffled back into the deck, the two mates are swiped through the deck to magically catch the selection between them. The selection is visibly removed from between the two mates and inserted into the middle of the deck, which can be squared and cut by a spectator, and then the magical "instant sandwich catch" is repeated, again producing the selection between the two mates when they are swiped through the deck. My comment: This is a new version of something originally found in Lorayne's out-of-print book Personal Collection, but it eliminates a move where the pair of mates was tabled, given that this comes with the risk of the sandwiched card being seen. Harry has modified the presentation based on feedback he received to improve this great routine even further. This does require some clean handling and practice, but is a very clever idea, and the "discrepancy" that it is named after will go unnoticed. Effect: After a card is selected and shuffled into the deck, a spectator names a number between 50 and 100 (using two different even digits). They count off or spell cards that are the sum of this number and this reveals their selected card! My comment: This might appear to be a strange choice, but is actually a real fooler, and is a great impromptu stunner. I've been using the 37 or 68 force for years, but on its own it's more of a stunt than a trick. Harry has come up with a great way to turn this into a card trick, and suggests an excellent way how to handle all six possibilities so that the trick still works perfectly. Very easy to perform, and a brilliant idea! Comments from others: "That's clever! Mark me down as one who loves it. I'll be using this one!" - Anthony Vinson. "This is brilliant! I will definitely use this." - Robin Dawes. "What a great trick!! Another winner!" - Rudy Tinoco. "A baffling, jawdropping card effect. I absolutely love this and am adding it to my permanent repertoire immediately." - magicfish. The above, of course, is just a sampling of the contents of Jaw Droppers! Two; another 50 or so other routines also lie within its pages. Undoubtedly there's more buried treasure that I haven't personally explored yet. If there are any particularly stunning routines that I haven't mentioned and which deserve attention, then I'd welcome others sharing that or pointing out which other tricks have proved to be real gems for them. - Utility Mixer: Harry himself has used this for a long time, and although it is easy to overlook, it is one of those fundamental moves that can have a very wide application. It's especially good for giving the impression that a packet of cards is being thoroughly mixed. - Catch An Ace #5: This is taught as part of the routine "Direct Collect", and is a utility move Harry himself frequently employs. - Universal Reversal: Taught in the trick "That's Fast", this is very "universal" and useful. - The Lorayne Force: Another move frequent in Harry's own performances, and besides its use as a force, it also has other applications, such as the way it is employed in "Magical Flight". - A Sweet 4-Card Change: Like the preceding move, this has been used to fool many knowledgeable card-men over the years. - HaLo Cut: This is one of Harry's favourite moves, and is used frequently in multiple tricks, and can be used to really stun people. If you are struggling with learning this, and want to actually see Harry teach and use this, get the Jaw Droppers lecture, which includes teaching of the HaLo Cut and HaLo Aces (just $5, see here). As Harry says in the foreword: "I don't think I need to stress their practicality and how much I love and use all of these. They are great examples of very, very useful and excellent utility items that, once learned, will be useful/important to you for the rest of your magic life - as long as you do card magic." There's an excellent range of material in this book, and not only are there tricks and some utility moves, but the tricks themselves also include a variety of methods and effects. There are predictions, "find-a-card" tricks; Ace routines, royal flushes, spelling tricks, and more. Harry especially does have a fondness for tricks that involve all four Aces and produce a royal flush, so you will see that plot occur several times. He also enjoys the cleverness of tricks with counting and spelling, while trying to come with handling that prevents these becoming tedious or boring. Quite a number of the tricks have their genesis in routines found in his Best of Friends series, meaning that they were initially contributed by other magicians, but have been refined and modified with new handling and ideas from Harry. One strength of this is that it leads to a lot of variety. Although these routines have been percolated through Harry's mind, they have the added benefit of bringing many great minds to the table, for a truly caffeinated magic kick that is indebted to many fine contributors - as Harry himself gratefully acknowledges along the way. Mr Lorayne has always been a big proponent of impromptu magic, and that is also very evident in this collection. The advantage is obvious: give him a borrowed and shuffled deck of cards, and he can do his wizardry. That doesn't mean that no tricks use a set-up, of course. Some do require some set-up, but usually this can be done on the fly, in the course of a preceding trick, and nearly always the book teaches you how to do this impromptu. 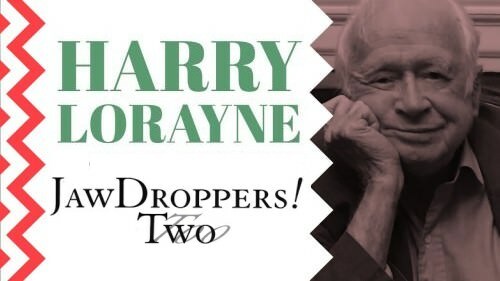 Eliminating in advance the possibility of a trick deck or a special set-up makes the miracles that follow seem all the more amazing, and it's one of the strengths of Harry Lorayne's style and the routines he teaches in Jaw Droppers! Two. According to Darwin Ortiz in his book Designing Miracles, truly effective magic requires skill in several areas, namely 1. good magic design, 2. good technique with cards, and finally 3. good presentation. Harry Lorayne excels in all these areas. Particularly his skill in showmanship is worthy of note, and throughout his career he has had the ability to entertain like few of his peers. But he's not just a good showman and skilled card handler, but also a strong creator. Jaw Droppers! Two continues to meet the high standards that Harry has demonstrated throughout his career, and once again we have a solid collection of tricks that show evidence of good design and crafting. The tricks themselves are of a high calibre and tend to be very practical and usable. 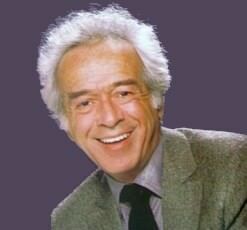 But in addition to the above mentioned talents, Mr Lorayne had one more: the ability to write and to teach. A prolific author of many influential books on both memorization techniques and card magic, his books on card magic put all his skills on display, including the fact that they are clearly written, and in a conversational style that makes pleasant reading. 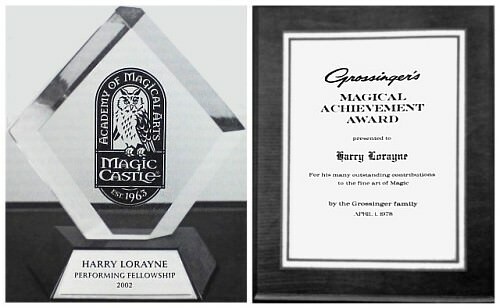 It's no secret that Harry Lorayne is widely considered to be one of the very best writers and teachers in the history of magic. 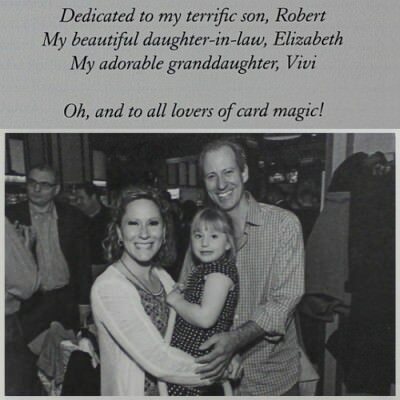 That's a massive accolade, because it's not just me saying this, but you'll hear this repeated often by many magicians. Especially when it comes to teaching with the written word, being both clear and concise requires a real gift that few have it. Without entering into a debate as to who is the greatest at this, Harry is certainly and indisputably one of the all time greats, and this book continues to display that unique ability. 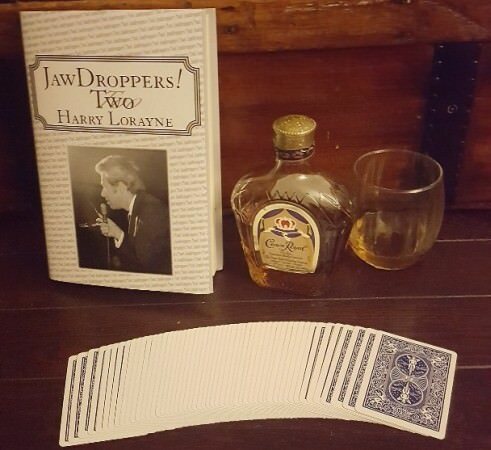 The book on its own is all you need, but those still in the process of mastering intermediate card sleights should seriously consider my earlier suggestion to spend an extra $5 to get access to Harry Lorayne's Jaw Droppers lecture (see details in my review here). Sometimes a picture is worth a thousand words, and some of the teaching in this lecture complements the material of the book very well. Plus those who are unfamiliar with Harry Lorayne really shouldn't get to know him from his written work alone, since his energetic performing style and unique charisma really is a must see. Many of Harry Lorayne's teaching materials are very accessible to beginning and intermediate magicians, which is one reason why his books The Magic Book and Close-Up Card Magic have proved foundational material that has been used by many to start a career in magic. But he himself is a very gifted magician, with a high level of technical skill. As such, in the course of his career Harry has acquired abilities and technical skills that he has long mastered, and which will typically be outside the abilities of the intermediate magician. But Harry himself is also at the point where he needed to make things easier for himself, because he needed to eliminate some more complex or technically difficult maneuvers simply because old age and arthritis made that necessary. While understandably frustrating for him at times, he has had a very positive approach to this natural limitation: he worked on simplifying his routines and coming up with new methods. In the process, he found that employing simpler methods sometimes improved the tricks, and resulted in new handlings, presentations, and even new tricks! An added benefit of this is that it places many of these tricks more squarely within the ability of the average magician. So the good news about this is that these tricks aren't just within the reach of the advanced magician with expert technical skills, but they are well within the reach of most of us. For someone like me (an amateur, with an intermediate ability), that's great news! It also means that this book is going to be of use to even more people than had it been written just for the more select group of highly advanced magicians! Even so, a basic ability with standard card sleights is essential. While there are some tricks included that a beginner might be able to do, the majority assume intermediate skills with cards, and certainly an ability to control cards within a deck while shuffling, as well as standard sleights like the Elmsley Count. Of course any moves that are not likely to already be in the arsenal of the intermediate magician, like the HaLo Cut, are all taught in the book. Any criticisms I have are only very minor. I do wish that the book had an index at the back, listing alphabetically all the tricks and utility moves that are taught. Of course one can find these with a bit of hunting through the table of contents, so this is not a big complaint, but a quick reference would make them even easier to find. And it's not a cheap book. But that's hardly a criticism, because we all know good quality usually comes at a price. And it's rare that anyone purchasing any of Harry's books or videos feels that they've paid too much, given the "gold" that they typically find within the pages of any of his written works. With Harry, as always, you do get your money's worth, and Jaw Droppers! Two is no exception. 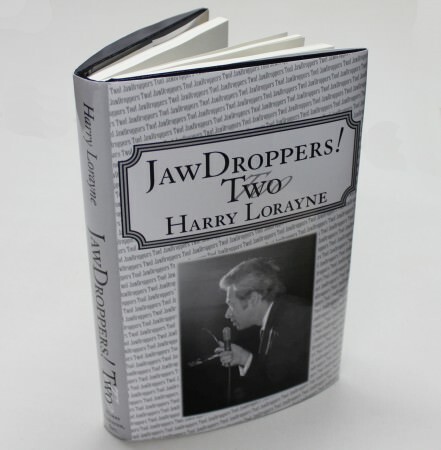 Once again Harry Lorayne deserves to be congratulated for producing another wonderful book. His output has been prodigious throughout the years, and despite the fact that he is now in his 90s, he still continues to surprise the magic world by producing and sharing new material. But knowing the man as well as we do by now, we shouldn't really be surprised by that any-more, should we? Jaw Droppers! Two is is a terrific book that oozes class and quality in every respect. I'm also so pleased that the quality of the book itself (paper, binding, cover, formatting etc) matches the quality of the content. It's a beautiful volume that gives the wonderful material inside the royal treatment it deserves. I'm very much enjoying paging through it, reading bits and pieces, and look forward to continuing to explore it in years to come. Will this be his last work? In his "Last Word" at the end of the book, he implies that this may very well be his last word, because at the time of writing this he didn't really have the desire to write another book. But we know that it takes more than that to stop Harry Lorayne writing, and he's currently in the middle of writing another book entitled And Finally!. This should be coming out in 4-5 months time (so you can order it on time for Christmas), and if the title is any indication, it has the sound of being his very last. But regardless of which book does end up being his final work, we in the magic community can consider ourselves privileged to read each book he does write, and Jaw Droppers! Two is no exception, and can be highly recommended along with his other works. Even in his 90s, he's still dropping jaws. 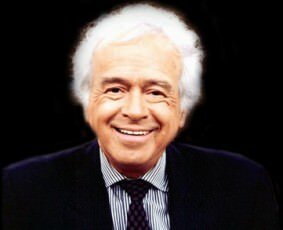 Happy 92nd birthday Mr Harry Lorayne! Your reviews have great depth and research. Thank you. Coincidentally Guess Quotient mentioned above is also in Mark Elsdon's book Hidden Gems - 101 exceptionally good tricks hidden in print. How did Guess Quotient get into someone else's book? Any credit? HarryLorayne wrote: How did Guess Quotient get into someone else's book? Any credit? Harry, the book mentioned is really no more than a list of tricks the author has identified as "Hidden Gems." No explanations are provided, only references to where it may be found in print. Yes, let me add that Mark's book(let) is a reference to 101 published tricks and routines that he thinks are exceptional and not as well known as they deserve. He gives a general outline of the effect, why he thinks it is so good, and where it might be found, no secrets being revealed. Harry, of the 101 items listed, ten of them are from Apocalypse. 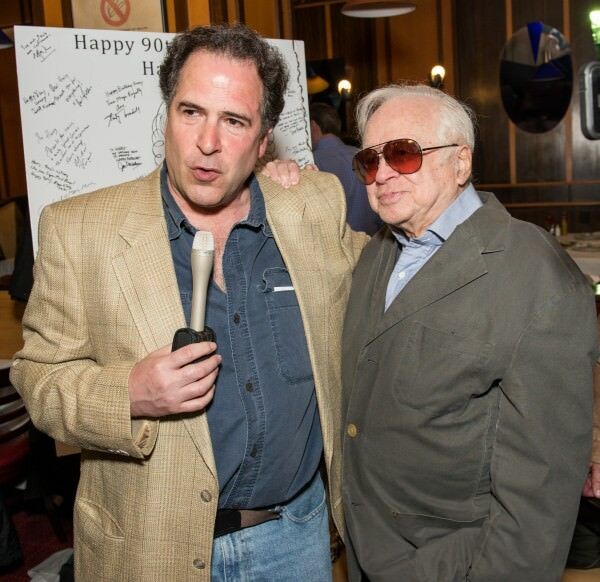 To see more great pictures of Harry's 90th birthday bash from two years ago, head to the link below. It's a veritable Who's Who of magic celebrities from the USA and even around the world!